They call him the sniper, for when it comes to his playing, people would all silence and watch him play. 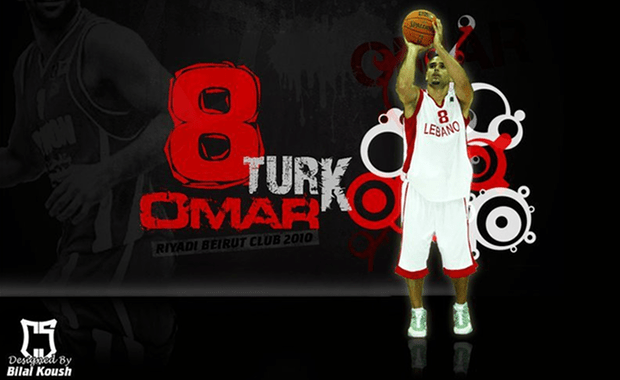 He’s the professional Lebanese Canadian basketball player, Omar El Turk number 8 on the Riyadh team, with a shooting guard position. What keeps Omar going is his competitive side when it comes to playing. According to him, there’s no taste to winning if there’s no competition in the first place. There’s priorities in life, and especially when it comes to social media. We are all aware of the fact that social media is a time consuming medium. Not everybody can afford to have time to be active on it 24/7. And the Lebanese Canadian basketball player is of no different. He has a Facebook account with more than 4,556 likes, and two fan pages. ‘I’m active on Facebook as a social media tool, I don’t think of having a Twitter account for I don’t have time for it. I’d rather spend some quality time with my daughter Lea than on social media,’ Omar said. As devoted as he sounds, Omar’s favorite hobby is being a father. He loves his family more than anything. And when it comes to fan’s issues and especially the girls, Omar talked how supportive and understanding his wife is. And as we continued to discuss more about the social media effect in our lives, Omar was aware of the fact of its impact. And who isn’t? Every human being is regular on social media. But Omar, proved to be much of a father than just be active on social media. His engaging, tranquil and judicious character reflects how much he’s committed to his family. ‘Obviously, it’s been extremely effective. It caused more than three revolutions in this part of the world. Whether it’s positive or negative a lot of people, follow up on social media. I am up-to-date on it, in a sense; I do read news and what’s going on in the world. It’s a great source of information to me. But for the entertaining part I much spend it with my daughter, as I mentioned,’ Omar said. And by this we always learn family comes first, even before social media with its madness. And, there’s always more surprises when it comes how people engage with social media. But as much as I was excited to meet Omar for this interview, it proved to be such an honor to talk with such an innovative, intelligent, adequate person. Want to get the latest news directly into your inbox? Then signup to receive our newsletter.